Student councils have long worked to address high textbook prices, which can force students to decide between facing increased financial hardship, attending class without the textbook, or forgoing certain classes altogether. 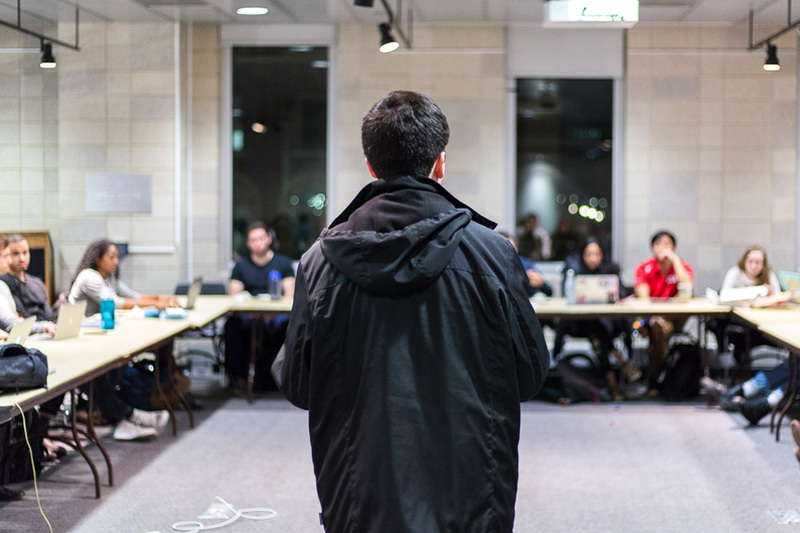 At its second meeting of the semester, the Columbia College Student Council discussed textbook affordability for low-income students, largely focusing on an ill-received proposal that would increase tuition by $600 per year to cover textbook costs for all students. Student councils have long worked to address high textbook prices, which can force students to decide between facing increased financial hardship, attending class without the textbook, or forgoing certain classes altogether. In a discussion that lasted over an hour, council members had a mixed but largely negative response to the new proposal, designed by University Senator Alfredo Dominguez, CC ’19, and Scott Wright, vice president for campus services, to decrease the financial burden of high textbook prices for low-income students. The criticism centered around its potential effect on local bookstores, the increase in tuition, and the vagueness of the proposal’s language. According to the proposal, the $600 fee was calculated based on supposed average book prices and spending. It has not yet been determined whether the books bought will be new, used and sold, or rented; however, Barnes & Noble has been selected as the potential exclusive provider. The idea was also introduced in the Engineering Student Council at last week’s meeting and similarly received negative reactions. According to Aaron Liberman, disability services representative and CC ’19, the lengthy process of policy change around financial aid provided a reason to support the policy as a temporary solution to the high cost of textbooks. Many council members, however, discussed their dissatisfaction with the idea of increasing students’ financial burden rather than fundamentally changing how the University approaches textbooks. The proposal includes an “opt-out” system, wherein students could elect to not pay the $600, but a large amount of opt-outs could decrease the efficacy of the program, as it relies on some students paying more for their textbooks than actually necessary. Liberman also pointed to the fact that the idea could only serve as a short-term solution to the long-term issue of increasing financial burdens on low-income students. A significant portion of student blowback was also sparked by the idea of an exclusive deal with Barnes & Noble, which could have detrimental effects on independent book stores in the area such as Book Culture. “The most important thing is that students get textbooks when they need them in an equitable way. It is also important that we consider the impact that policies like these will have on the community we live in,” Ramsay Eyre, CC ’21, said. In response, council members proposed alternatives to the proposal including smaller increases in tuition, the distribution of textbook vouchers to those with high demonstrated need, and the expansion of current library systems to include a greater number of textbooks. Nonetheless, members also cited how current First-Generation, Low-Income Partnership libraries are falling below par due to outdated textbooks and textbook shortages. Dominguez criticized other council members for caring more about the interests of rich students, who would have to pay the raised fees, over low-income students who currently do not have the books they need for their classes. Other members agreed that this idea could exacerbate the divide between students of different income backgrounds by putting them at odds. “While I hear you in terms of independent bookstores and the effect on them being important, we are elected to serve Columbia College in particular. I ran on a platform to serve Columbia College low-income students,” Dominguez said. Note: Ramsay Eyre was previously a copy editor at Spectator. He is no longer a member of staff and is disaffiliated from the organization. Correction: A previous version of this article stated that the policy will be voted upon by the four undergraduate student councils. However, the decision will be made by Wright and the four school deans; CCSC and ESC only served to provide feedback. Spectator regrets this error. Staff writer Blake Jones can be contacted at blake.jones@columbiaspectator.com. Follow Spectator on Twitter @ColumbiaSpec.